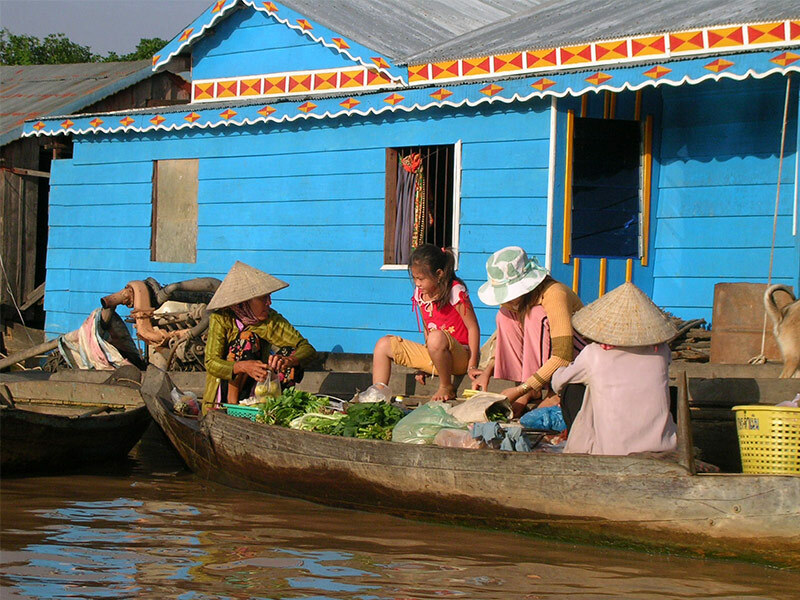 This is Siem Reap day trip takes you to a remote village where few tourists venture: Tonle Sap village. Embark on a boat ride through the village of Kampong Phluck where the fisherman and their families live in stilted houses among the petrified mangrove forests and waterways. Enjoy a lunch of local dishes in a family house and enjoy the fascinating scenery of Southeast Asia largest freshwater lake. 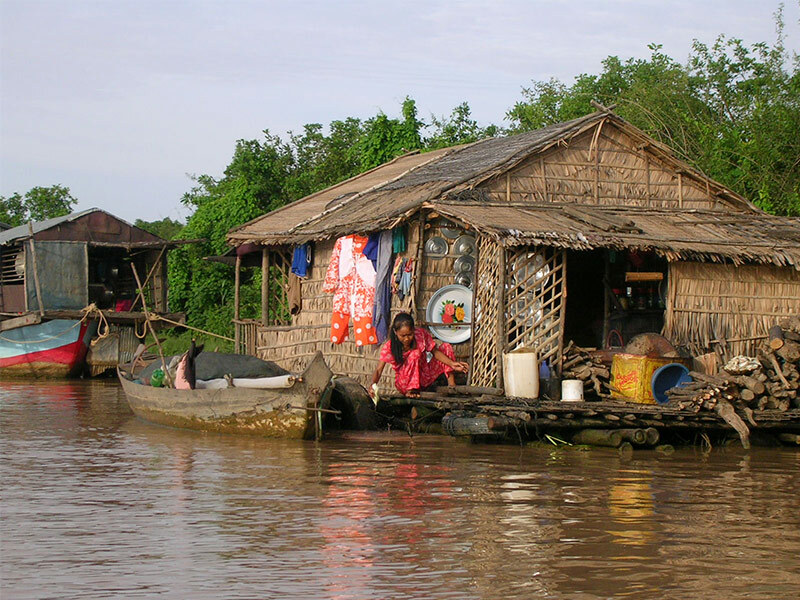 - Visit a floating and stilted fishing village on the Tonle Sap lake. 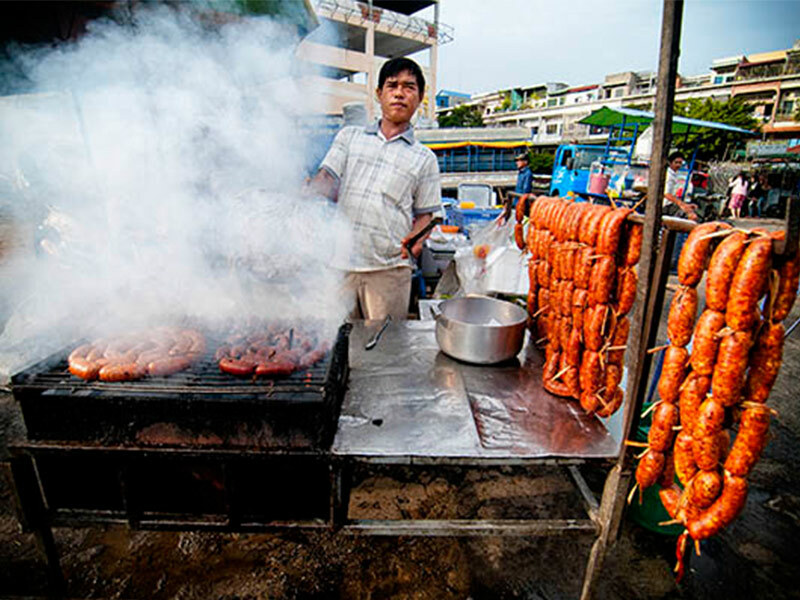 - See seasonal Cambodian agriculture and aquaculture activities. 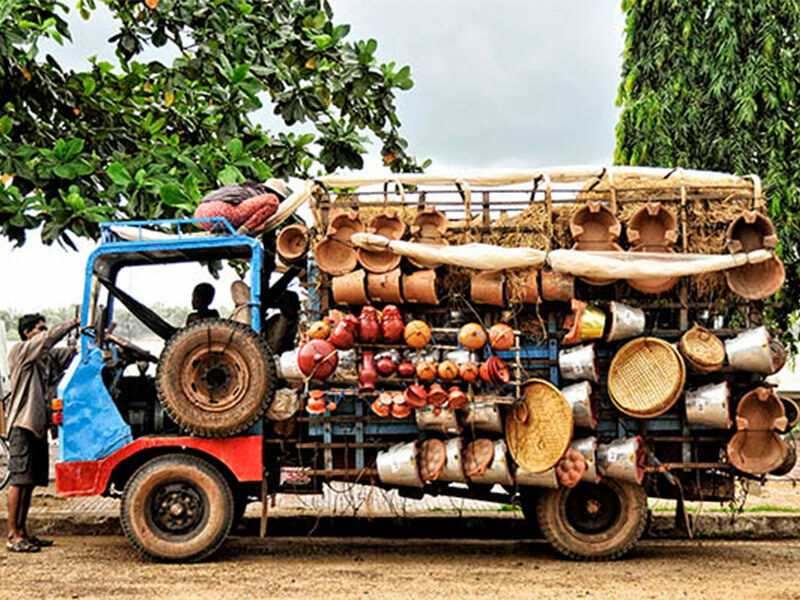 - Explore a local village: Kampong Phluck. - Enjoy lunch on the floating houses. You will embark on an interesting boat trip on the Tonlé Sap lake, where you will have the opportunity to learn about life on the lake. The Tonlé Sap lake is the largest freshwater lake in Southeast Asia and officially designated as a UNESCO Biosphere Reserve, covering an area of around 250,000 hectares in the dry season. Due to a unique phenomenon, when the monsoon begins, the swollen waters of the Mekong river force the Tonle Sap river to reverse its flow northwards, feeding the Great lake and spreading over the surrounding flood plain. During the dry season it is roughly 2,500 km2, swelling to about 4 times it size in during the wet season: 10,000 km2! Travel out to Kampong Phluck, a village a bit further away but which receives very fewer tourists. Thus, this stilted village is the best place to see the authentic life of the local fisherman and their families who live amongst the flooded mangrove forest. At Kampong Phluck, board a local boat for a ride on the lake. On the way, you will see houses on stilts that are submerged with the lake extends, pass by floating houses and impressive flooded forests and get a good feel for life on the water. In one of the floating houses, a delicious lunch will be prepared for you. Enjoy the beautiful scenery dominated by the tranquility of the lake. 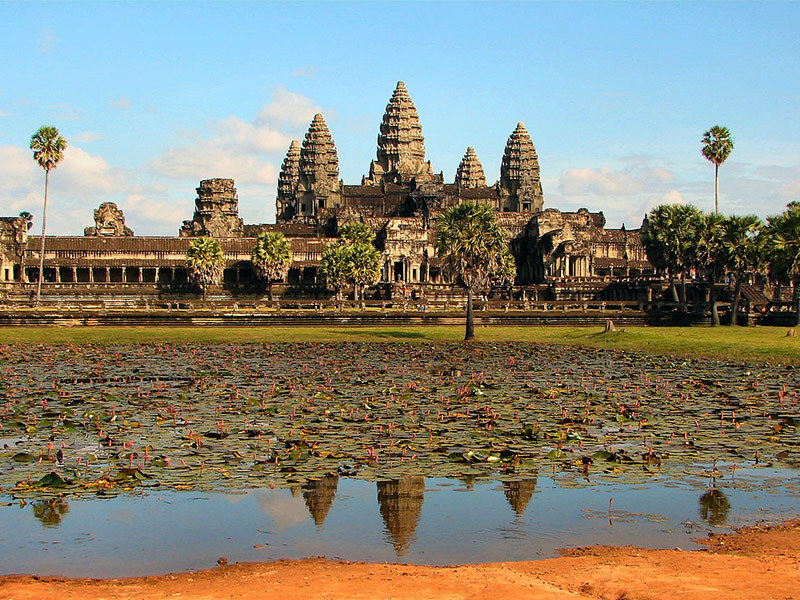 Return back to Siem Reap by boat and private vehicle in the afternoon.